About 50 million gallons of fresh water are gone after it flowed into the bay when vandals damaged an inflatable dam in Fremont. 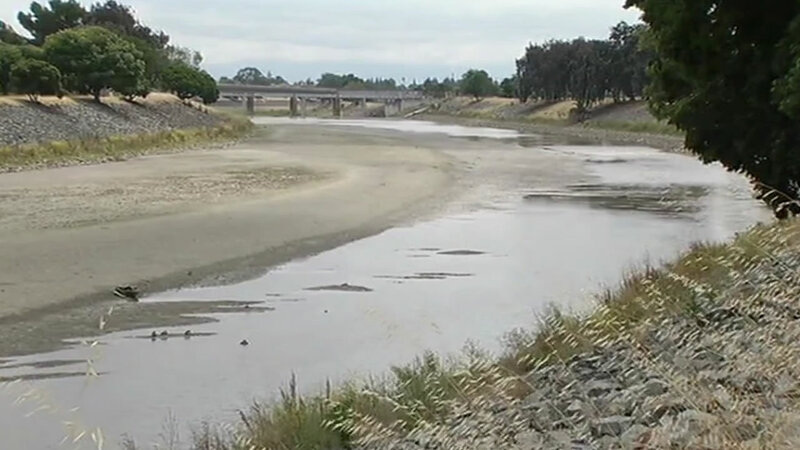 FREMONT, Calif. (KGO) -- About 50 million gallons of fresh water are gone after it flowed into the bay when vandals damaged an inflatable dam. It happened along Alameda Creek near Quarry Lakes in Fremont. Residents in the East Bay were upset to learn that vandals sabotaged a dam in Fremont causing the release of 49 million gallons of water. The suspects faces felony charges and the anger of tens of thousands of water customers because this was their future drinking water. The dam used to span Alameda County creek, holding back rainfall and runoff that is later fed into percolation ponds to recharge groundwater. Investigators measured what appears to be a five-foot long slice in the rubberized material. As the inflated dam collapsed, millions of gallons of fresh water drained to San Francisco bay, which is a loss to 81,000 residential and business customers of Alameda County Water District. Tall fences and barbed wire protect the dam, but the vandals still got in to destroy it. "Despite this security that's worked well for over 30 years on this facility, somehow this event happened and we will investigate and obviously look to make improvements," Alameda County Water General Robert Shaver said. The dam was scheduled to be replaced soon. The project will be accelerated, so it can be in place by fall to help store next winter's rain. Water customers are upset with the vandals. "You can't be out here 24/7 guarding it," Doug Lynch said. "Something like this is very, it's upsetting, it's a violation of our right to our water. They're violating our privileges to the water," Laurie Thomas said. The customers served in Fremont, Newark and Union City are already facing a mandated 20 percent reduction in water use. The district doesn't expect that figure to increase because of this incident, but said the 50 million gallons that were lost is one-half of one percent of its supply.